When you’re a business owner you’re always looking out for a better return on your investment. One way to increase your ROI is to ensure your company’s operations are lean and running efficiently. How do you do this? Well, you can start by thinking of investing in your most valuable assets – your employees! They are what build up your machine – your company. High performance vehicles reach their levels by what’s inside the hood. All of the parts are built to work together and efficiently to have a powerful output. This can be transferred to managing a team. Imagine having to work with a team that doesn’t have emails or phone numbers. The only time you are able to talk to all of them is if they are all in the office… Now imagine having to manage a team with just emails. It’s a doable but not the best. This is where Office 365 comes in – this productivity suite was made to enhance any team’s collaboration and communication systems. But how important is team collaboration? Google – one trusted company that made its way to Merriam-Webster’s dictionary has something to say about the importance of team collaboration. The study also confirmed which applications are the most effective for communication and improve the performance of the team. The top 3 were file sharing tools, webmail tools, and BI & Analytics – leveraging the cloud to enhance collaboration efforts with anytime, anywhere access. But who can drive change to create a company culture that is willing to improve collaboration systems in the company? Just over a quarter of respondents pointed to their IT department with the marketing department being the runner-up. This can be because IT departments usually understand how the technology that is involved in your office works. That may be a good place to look when thinking of improving systems. If you are looking for an evaluation or 2nd opinion, Welcome Networks Inc. can be someone to call to listen to your goals and find a way to get there. It’s no doubt that Microsoft Office products have been used in businesses for a very long time and provides the applications you can depend on for work. They have taken those applications that you know and love and made it better by putting it in the cloud – allowing you to communicate, collaborate and get more done. If you don’t have the right data and knowledge at the right time, your company will have a hard time competing against others. This is our world and there are always new ways on how to stay connected. Based on Google’s research, companies will see a ROI on their collaboration technology and see a high return on their collaboration investments. As soon as your teams can adopt the right systems, they will be more satisfied and their efficiency will increase. Office 365 allows your team to collaborate on various documents in real-time while not limiting everyone to a specific device. You can work from your smartphone, your desktop at work or laptop at home. The files remain available to you via the web or the Office 365 apps on your device. Most people are familiar with those constant Windows updates you get every few weeks . Office 365 just had an update at the end of January which has added more collaboration features to PowerPoint. Just like Word and Excel, users are able to collaborate in real-time. Now your team will have all their spread sheets, word documents and presentations synchronized. This feature is known as “co-authoring”. When you open up a file with Word, Excel or PowerPoint, on the side pane, you are able to see who is editing the document in real-time. 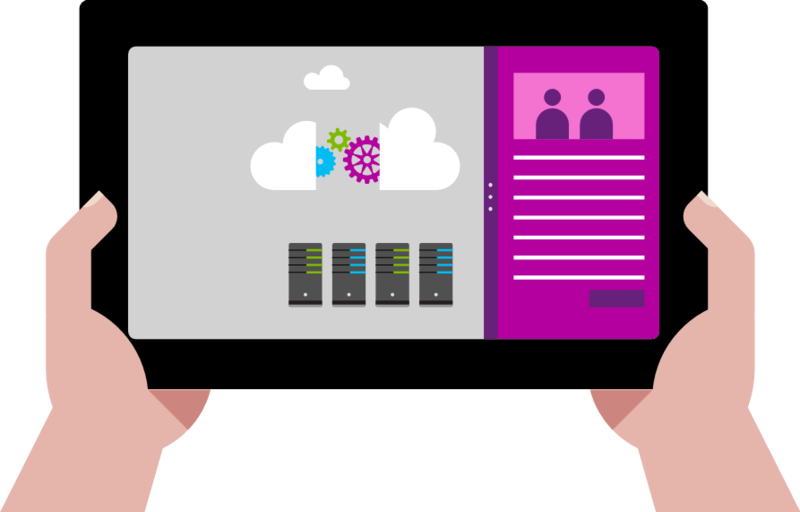 Collaboration can be done with Microsoft Online or with your local applications. Again, minimizing the restrictions you get from having your files stuck in different devices and not syncing automatically. The collaboration study showed how important communication and knowledge sharing technology is to the company. Office 365 provides just that. With Office 365, Skype for Business is also integrated with the software. This allows users to communicate in real-time without having to send out a single email. You can send your teammates an instant message or even communicate face-to-face with video conferences that can involve multiple team members. With Office 365 you are building a more connected, informed and engaged workforce. Using the features we just discussed you can remove some of the main pain points that were revealed in Google’s research – the importance of communication and knowledge sharing. Office 365 offers your team the ability to work together while everyone has access to the same tools. They have the freedom to work anywhere and at any time with any device. Anything you do in the office, you can now do on the go. From your own devices, you will get access to everything. Traditionally, you would only have access to Microsoft Office in your office. This barrier or limitation is now eliminated. Welcome Networks Inc. is a Microsoft Partner that provides managed IT and cloud solutions throughout Canada. For more information on how our services can help grow your business, please call us at 1-800-466-0073. If you would like to try Office 365 visit our webpage at http://www.welcomenetworks.com/office-365.htm.